Since we took a year off from throwing our own show, the 2018 album was released at the KUTX event at the Four Seasons on November 18, 2018. The theme of the show was "I Want My ALL ATX," celebrating the 1980s. 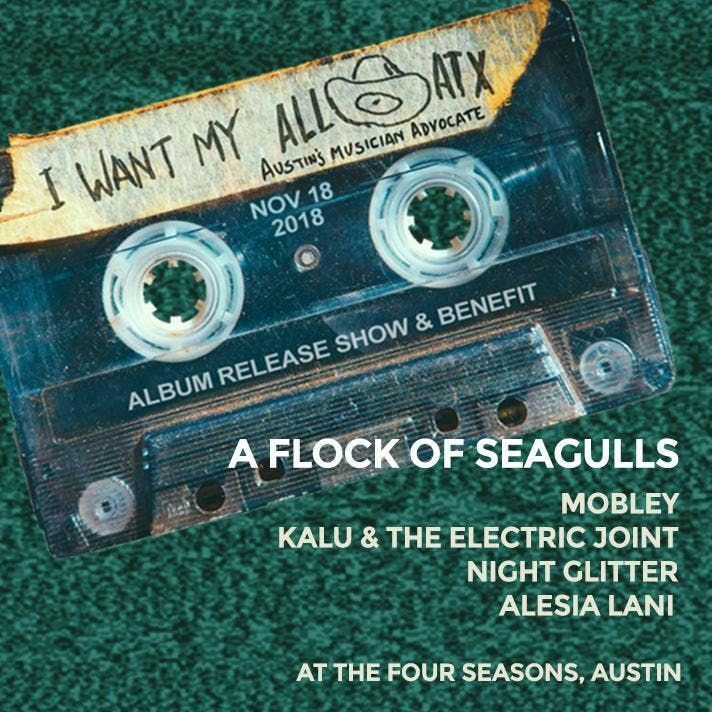 The KUTX event featured: A Flock of Seagulls, Mobley, Kalu & The Electric Joint, and Alesia Lani. This year's CD is available at Waterloo Records.